The principles of mobile security techniques assignment is the evolution of mobile devices and wireless technology has played a vital role to reshape the approaches used to connect with internet. As result mobile ad hoc network (MANET) was introduced to offer the self-configuring and infrastructure independent network. This technical paper is on the application of principle mobile security techniques in the specific domain of the mobile computing. For the paper, security assessment technique has been selected to implement in specific mobile computing domain: mobile ad hoc network. Social and ethical issues in the form of security and privacy are discussed in details in the context of MANET. The research paper has proposed some improvements and recommendation to overcome the social and ethical issues. The rise of mobile device to store and manage the private and sensitive information along with high flexibility to share with others has encourages to find the new network structures. The traditional wired network connections are being less popular in small networks as the mobility has increased the efficiency. For the mobile devices, wireless technologies are presented for connectivity with internet and sharing of resources. In present context, mobile devices like laptop and Smartphone are used to connect with network so that information and resources can be shared effectively. Resource and information are two important aspects of network to manage with effective utilization. Most of cost and efforts in network are related to network setup and configuration for the security purpose. The mobile security is required to protect the information stored in devices and to prevent the attacker to have access on resources. Thus, the requirement of highly dynamic and autonomous topology is addressed with mobile ad hoc network. Mobile ad hoc network is a wireless technology to offer the extemporaneous basis connectivity. There is no need of network structure and configuration to connect so the seamless communication among nodes is possible during the motion state. The network is peer to peer connectivity with decentralisation of resources as each node in network works as a router for all other devices to route the unwanted traffic to next node in network. The significance of the network is virtually in any scenario where the physical installation is not possible or temporary to accomplish the objectives. MANET is effective to setup the network in impractical conditions like in disaster recovery, transportation, mining etc. MANET uses the IP based communication to establish the network on mobile platform. Mobile ad hoc network is a special wireless network security in which each mobile device cooperates to route the network packages to the destination. This is infrastructure-less and self-configurable network to connect the device on demand basis. IP address of the devices is used to send the packets. A copy of data packet is sent to all the devices in network where the targeted IP address of the device is matched with header of the packet to deliver the data. The network is used to offer the services among various networks as user may swipe in and out during the connection between different networks. Communication is difficult when users may want the connection with different networks during motion. Also the upper layers like TCP applications may not support the change of IP address during the communication . The use of dynamic domain name system and IP address to mobile devices are implemented with wireless network named as MANET. Mobile ad hoc network is the only effective choice to establish the network with the rapid change of location of users through mobile devices. MANET uses the protocols like dynamic routing, proactive routing and reactive routing like protocols to establish the communication. The best protocol is selected according to distance and routing devices in between the source and destination in network. Routing table is created to store the information about the nearby routing devices . In MANET, each device works as a router and it is not possible to create routing table on each device, especially when there are a large number of mobile devices in network. Mobile ad hoc network uses the concept of ‘on the go’ in which devices are connected with each other. The data packets are transmitted in network and each device receive the data in encrypted form. Header of the data packet determines the destination device in network. Once the device is located in network, header of the data frame is used to verify the device. The targeted device must need to know the authentication process to get the original data. In this manner, MANET uses every resource in network and reduces the demand of centralised server in network to serve the rest of devices. Overall cost and effort can be simplified with capabilities of MANET. This wireless technique enhances the security in some cases as there is dynamic structure of network on the status of devices so data is also distributed among the devices. There is no system to store the data for every device in network. On demand services in network for resources and information helps to attain the maximum efficiency in network utilization. Instant infrastructure: the network needs no physical setup to plan the instant meetings and planning with communication over network. Disaster relief: the network is easy to set up even in conditions like flood, war and disasters without much effort. The impractical set up capabilities of the network is key advantages of mobile ad hoc network . Confidentiality: military activities also use the use of ad hoc as it is effective to provide the communication in secure and confidential manner. Mobile ad hoc is used in remote area services for the communication and sharing. It is necessary to keep the information safe and secure during the use of mobile ad hoc. The data from the user mobile device may be comprised if the network and mobile application is not effective to isolate the information. The sensitive information needs to be scan and safeguarded in mobile devices. For that mobile user agent can be used to scan the mobile and web applications. Emulators are also effective choices to get assistance with mobile ad hoc and connections. After that, configure the mobile device for other Smartphone to support the mobile ad hoc service. User authentication: application in mobile devices should be configured to require the credentials to access as textual username and password and one time password can be used to confirm the user identification for application level access. Verification of web content: files downloaded from the internet and network can be scanned for their verification as the entry of malicious code within files can compromise the data loss or modification. Especially the applications need to be from authorised server . Anti-malware programs: mobile devices can install the trustworthy mobile applications to verify the malwares in mobiles. For that a number of software tools are available to identify malicious code. Firewall: the interface with other devices in network can be parsed with firewall as it can be configured to allow or deny the requests and packages from specified devices only. Various rules can be created to ensure the filtering and encryption of information being used in network. Encryption: information stored in mobile device can be encrypted and decrypted on demand to protect the information from being disclosed. Applications can decrypt the information to use with required credentials. White listing: mobile device can be configured to grant the permissions for the software those posses the generic source and rights to use the information. Rest of the internet sources can be blocked with white listing . Deployment plan: in order to secure the mobile applications and data, we need to deploy the security plan. Deployment plan must need to be verified against the open holes and accidental lost on devices. Security policies: mobile devices may be bounded to rules and policies in company and personal network so that how data is being used and secured can be determined. Security policies may have the rules on packet transmission, infrastructure and device security. Training of security of mobile applications: mobile users in company can be trained related to knowledge and skills of configuration, installation, access and sharing on mobile devices. Appropriate approaches can be used to safe the devices in various situations. Risk assessment: the approach to determine the possible set of risk and constraints along with actions with the attacks on mobile device and data. The estimation of the potential damage and vulnerabilities is required to carry in risk assessment. If someone is using mobile application frequently for mobile ad hoc networking then the confidential information about the network credentials must not be stored locally. The demand of confidential information inside the mobile applications must be complaint to associated portals for further enquires. There should be encryption for the information to share in network. The algorithm for encryption must be secure against the force attacks and random assumptions on key. Before to use the application, ensure the permissions and rights of application does not make changes on data already existing on the device. The privacy and security with information sharing must be addressed properly to meet the objectives in communication. 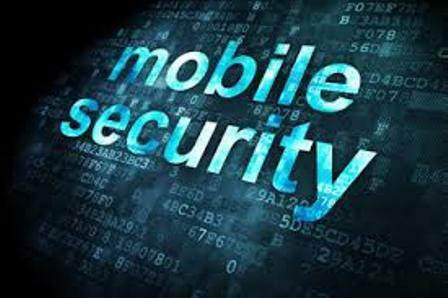 Regular review of mobile security can help to achieve the stable releases for installation. The application may have performance advantages and bug free experience through reviews. Verify the use of data and information collected by the application for network communication. The request may be arrived from the unknown user and mobile so that user must be aware with source of request prior to share anything. Identify the source of application file prior to installation. Prefer to use the applications from authorised Google, apple and other store according to operating system of mobile device. Prefer to use the antimalware program in mobile for boosted performance and security during communication. Social issues may be raised due to the changes of IP address in mobile devices and packets may go to the new device instead of older one. The information may be private and confidential for sender but the wrong destination may lead the misuse of information. Files received at mobile screen may be change the behaviour of mobile as the notifications and storage may be interrupted in abnormal manner. As results, the information may be opted out on screen. Ethical issues may appear due to disclose of information without the permission and request of mobile application user. Mobile application and communication is building the culture of virtuosity to send and receive the information. People are using instant messaging and sharing. The use of formal communication is deprecated. The quality of language and communication is degrading in formal communication possessed by mobile users. The social cultural values are being impacted with mobile communication . It is possible that the receiver may not receive the information but the sender had notification about the delivery as the user was in motion and conflict of networks dropped the finalization of information delivery at destination. The social conflicts and incidents may be driven with improper integration of non-repudiation services. The information transmission from mobile devices needs proper implication of encryption methods so that cyber attacks can be eliminated on packets in transmission. The mobile application must need to confirm the algorithm and data to be used in communication. Open access to storage in mobile devices may be influenced with the malicious code. The encrypted and secure data storage can help to prevent the anonymous changes in storage. Poor authentication system may lead the issue in identity theft and misuse. The ethical and social issues may be driven as there is no option rather than the authentication to ensure the user identification in network. Loss of information existing on the storage. Malfunctioning of mobile device to send and receive the information and perceived attacks on personal communication are social issues associated with mobile application. Mobile application for mobile ad hoc functionality can be used with strong password policies and encryption to protect the information being disclosed at application level or transmission. Various encryption techniques can be used to encrypt the data during transmission to other mobile application so that no one intermediately can access the original information. Sensitive and confidential information in mobile devices must be secured along with complete isolation from the list of selected applications so that mistakes in data sharing can be reduced. It is observed that most of time, wrong information is sent to wrong receiver in network due to erroneous actions. The integration and use of third party applications like data verifiers, scanner and compressors must be checked for their authority, access and permissions in mobile device. The source of third party should be valid to present the required details about the usages. Always perform the review on security at panels and applications those require the internet and network connectivity to work. Mobile connections and routing can be tested with the simulation programs so that effective network can be established . Driving time use of Smartphone may lead the drop of data packets in between the communication and may generate the issues. There are high chances of loss of connectivity due to packet transmission delay. The recovery process can be used to roll back the communication messages and files if transactions get failed in between. Have a habit to use firewall, protecting applications and background encryption tools to safe the information and access to mobile device. Firewall is effective solution to block the unwanted request and data packets in mobile device as the device is working as router in network. Firewall and other filtering services can drop the packets and application request those are unable to possess the generic request. The paper has concluded the application of principle mobile security techniques in mobile ad-hoc network. Suitable set of tools and techniques has been discussed with the information obtained from websites, scholar articles and books. Working approach of the wireless technique has been discussed along with its uses and applicability in present context. The technical paper also has contained the description of social and ethical issues those may be raised due to improper security and encryption in network. This technical paper has been presented the suggestions on mobile security during the use of mobile applications related to mobile ad hoc services.